Getting rid of cancer is often not difficult, the problem is keeping it from coming back. 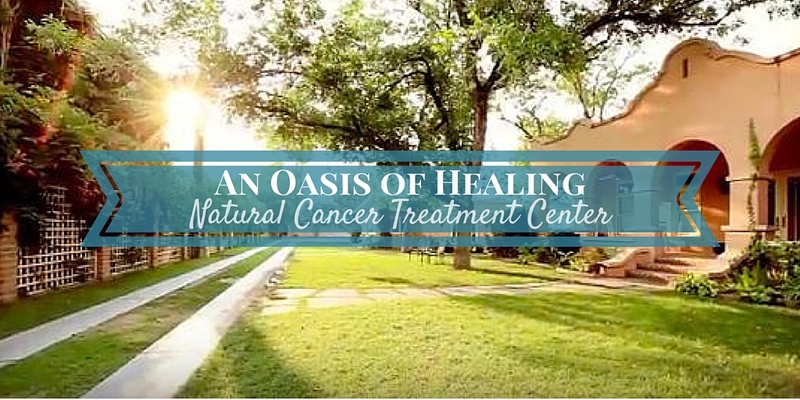 At An Oasis of Healing, not only do we target and eliminate cancer, but we teach our patients what is required to stop making cancer so their body is no longer an environment conducive for the cancer to grow and flourish. 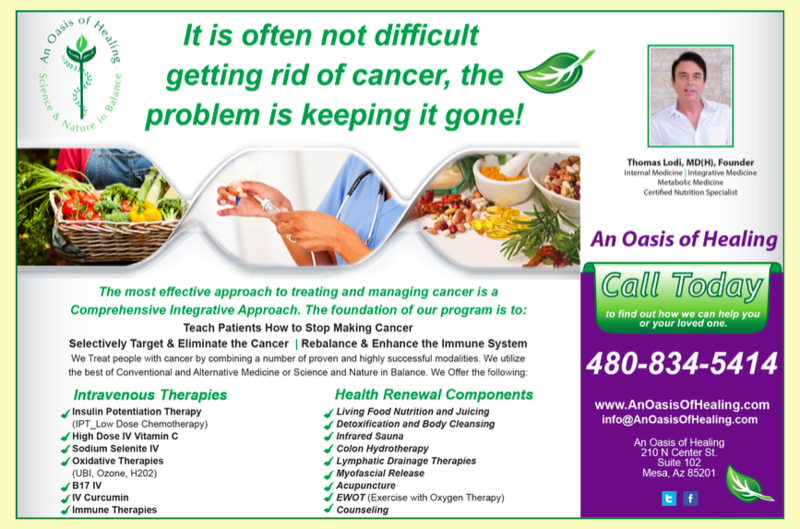 www.AnOasisofHealing.com Our comprehensive approach to cancer combines a number of proven and highly successful modalities including a living food nutrition program along with juicing, detoxification and cleansing therapies, Insulin Potentiation Therapy (IPT or IPTLD), High Dose Vitamin C, B17, Oxidative Therapies as well as many other IV treatments, all used to eliminate cancer in the least toxic way and to strengthen and rebuild the immune system. Because we recognize that everyone is unique, we personalize every patient's plan of care, basing the plan on the individual and not their diagnosis. We know that healing occurs within each patient when they take an active role in their own care. Education is vital in understanding how cancer can manifest in the body and how each patient can participate in the recovery of their health. 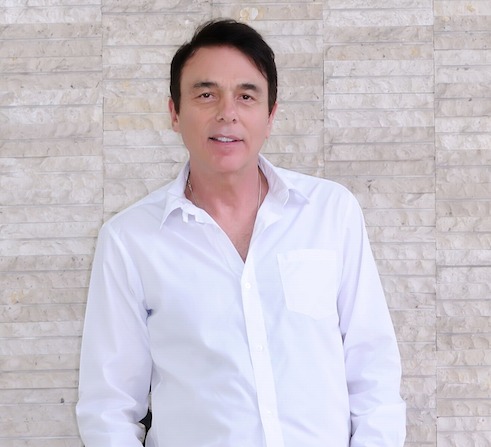 An Oasis of Healing, an integrative cancer treatment and healing center located in Downtown Mesa, has been helping patients discover the best answer for cancer since 2006.